Dr. Sherri Magee joined the Streetohome Board in 2017. Sherri is currently the Vice Chair of the Vancouver Police Board and serves on the 58. W. Hastings Advisory Board which is building a medical facility and social housing in the DTES. 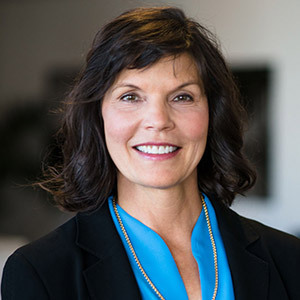 Sherri has served as a board member on the World President’s Organization and Perceptronix Medical Inc. In addition to serving on the Streetohome Board, Sherri is the Co-Chair of Streetohome’s Research, Reporting & Data Committee. Why did you join the Streetohome Board? I followed the work of Streetohome for many years and was very impressed with what they’d achieved in a relatively short amount of time. Their vision to bring private sector, nonprofits, health care, policing, provincial and municipal governments together to understand the greater problem, identify the immediate needs and act on them has been very successful. Streetohome’s overarching goal is to address the gaps in the current system to meet the housing, addiction, education and employment needs of vulnerable individuals who have lived experience of homelessness, or are at-risk of homelessness. All of these areas are being addressed through productive working groups and committees and a committed Board – each area is important and intertwined. You have a varied background – as a cancer health care professional, researcher and author, and Vice-Chair of the Vancouver Police Board, how did your interest in homelessness come about? Homelessness affects all of us and I often saw the struggles our most vulnerable populations faced in health care and the justice system. I also saw, firsthand, people doing good work at the VPD and Streetohome. VPD has a designated full-time Homeless Outreach Officer who works with the community to address the needs of vulnerable people and Streetohome is a key partner in many initiatives. Streetohome’s collaborative work comes up often in our LINK meetings – a successful partnership between Vancouver Coastal Health, Providence Health Care and the VPD – that addresses the needs of individuals with mental health challenges. It’s inspiring to see the commitment that individual people and organizations have made in addressing this issue. What would people be surprised to learn about you? I spend a lot of my free time in East and Southern Africa. I just came back from my 13th trip and I want to go back for more: spectacular scenery, resilient people, and a joyful spirit that rings throughout each country. If you could go back and give your 20 year-old-self one piece of advice, what would it be? Become educated and get involved in community activities from an early age – locally and globally. The more each of us does so, the more united the front that tackles the challenges facing our world. Meaningful activities get me up each day. I’m very fortunate to thoroughly enjoy both my professional work and my community boards. Knowing how large the problems are and wondering how we can do more to ensure our communities are healthy and productive places for future generations keeps me up at night. Having said that, however, there’s good work being accomplished each and every day. Interested in learning more about Sherri and the 15 member board, led by Chair John McLernon? Visit our http://www.streetohome.org/about/board/ for a complete list of our board including bios.